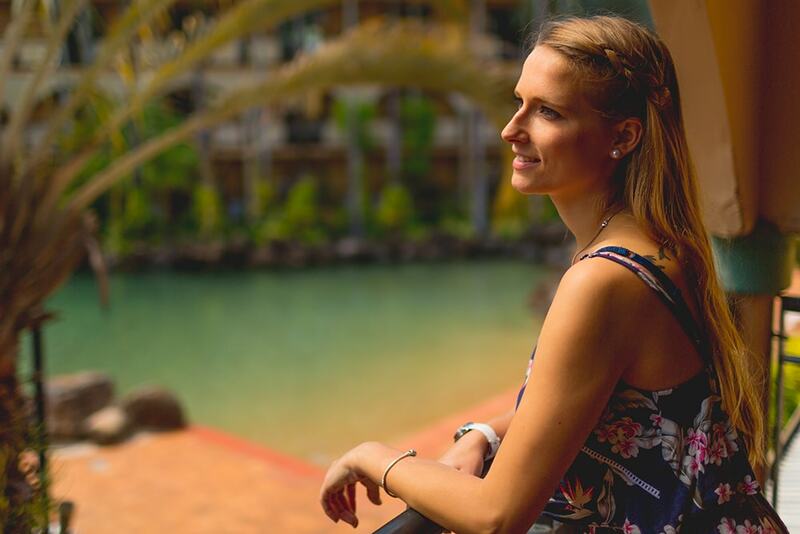 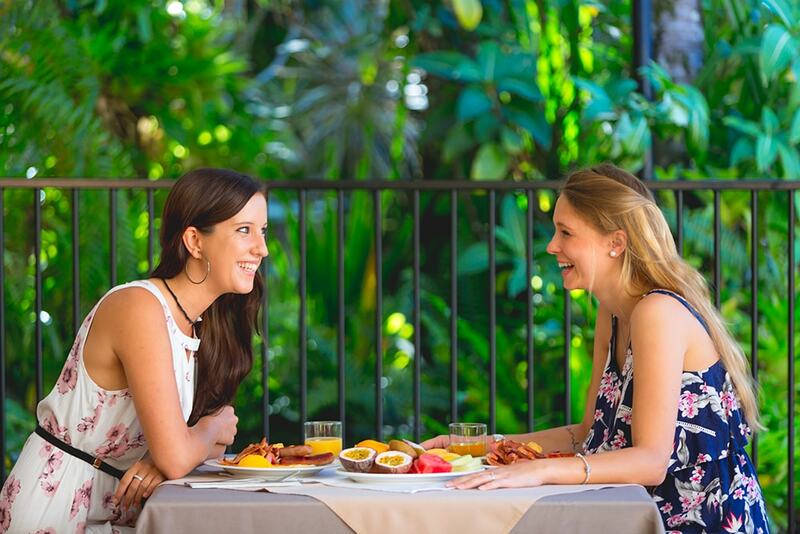 A world away from the everyday and within minutes of everything that Cairns has to offer – that’s the beauty of Palm Royale Cairns, not to mention its attentive service, fabulous guest rooms, choice of pools, magnificent landscaped gardens and numerous resort facilities. 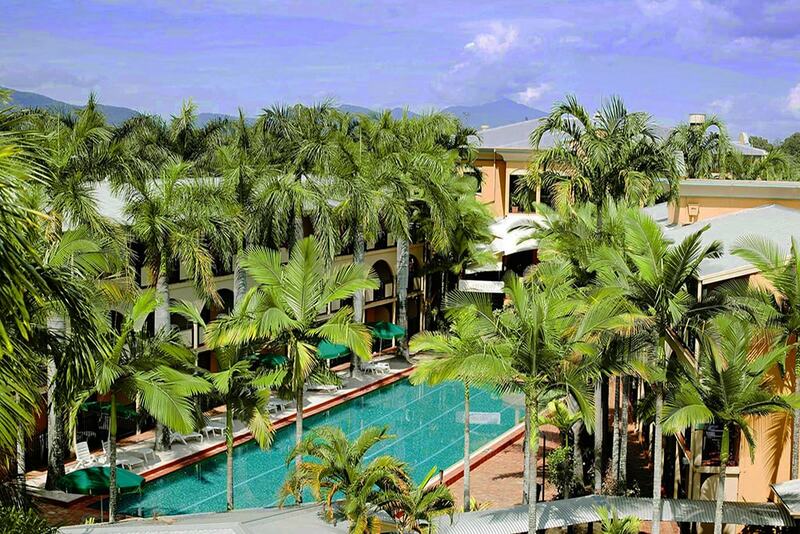 Mediterranean architecture blends seamlessly with the tropical environment of Cairns. 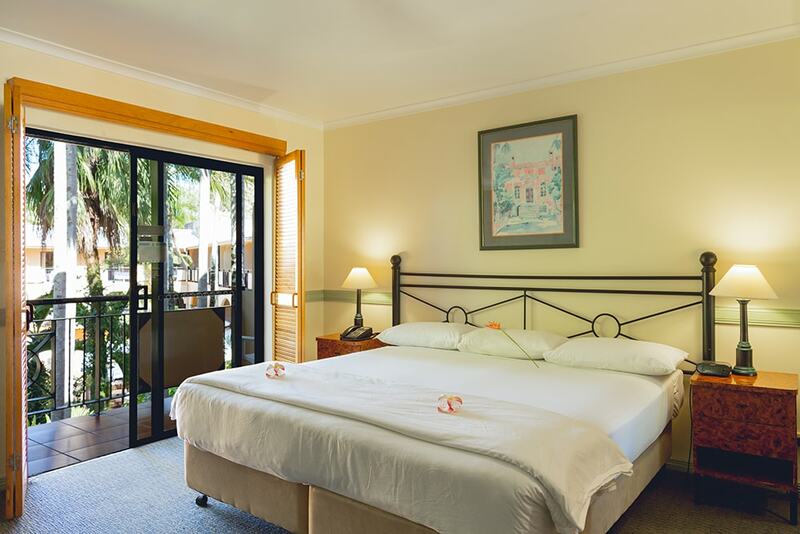 Set against azure skies and an emerald backdrop of rainforest clad mountains, the modern exterior shrouded in lush greenery provide the perfect foil and beckon (as the Italians say) Amare la Vita…or ‘love of life’. 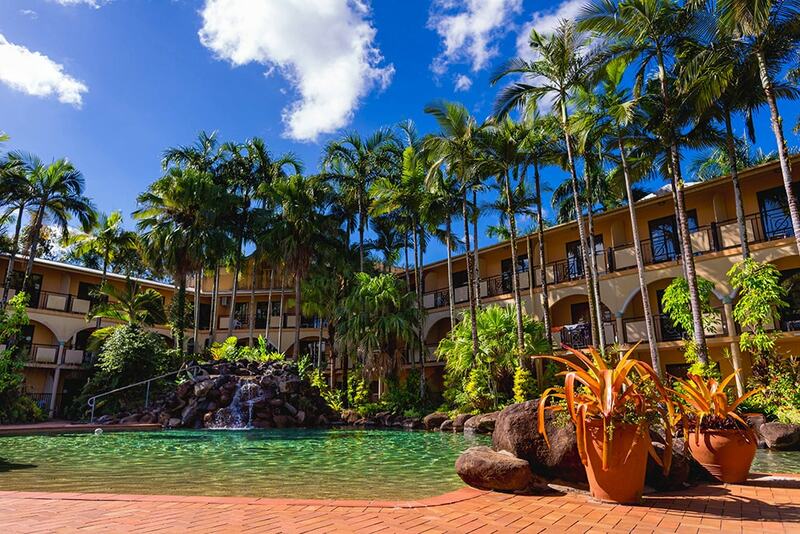 Having successfully captured the tropical spirit of Cairns and its wonderful climate, Palm Royale Cairns is an inviting palm fringed oasis of aqua swimming pools and shady gardens. 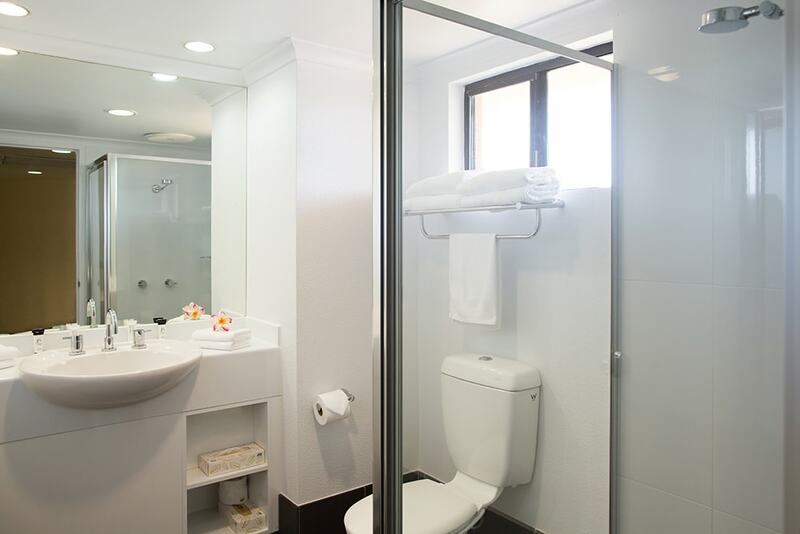 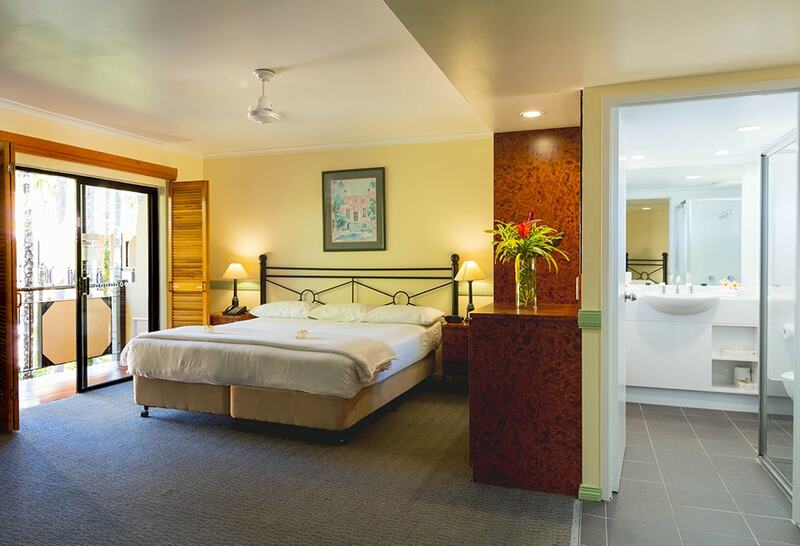 Comfort and convenience are assured – Palm Royale Cairns is set on one hectare or 2.5 acres just 4.5 kms or 3.2 miles from Cairns City Centre and 8 km or 5 miles from Cairns International and Domestic Airports. 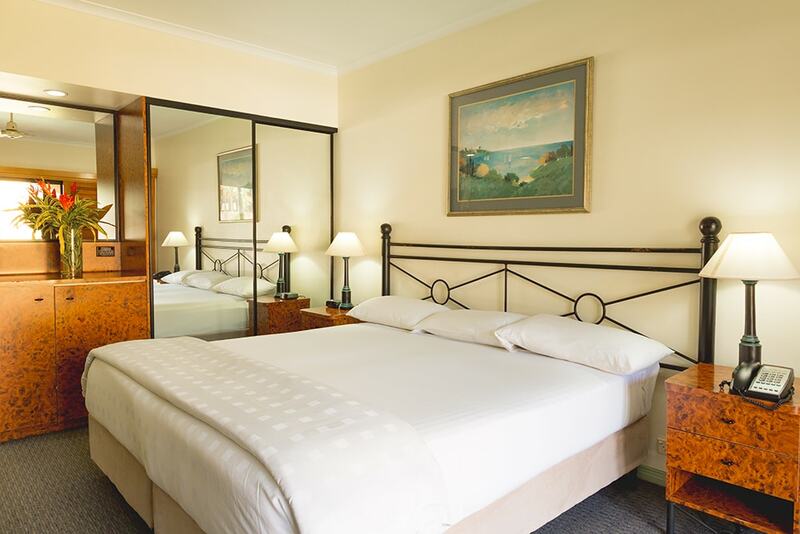 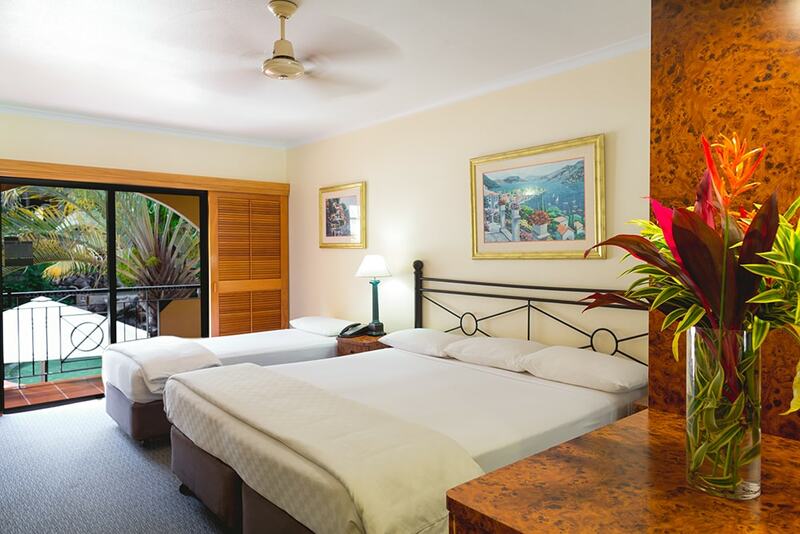 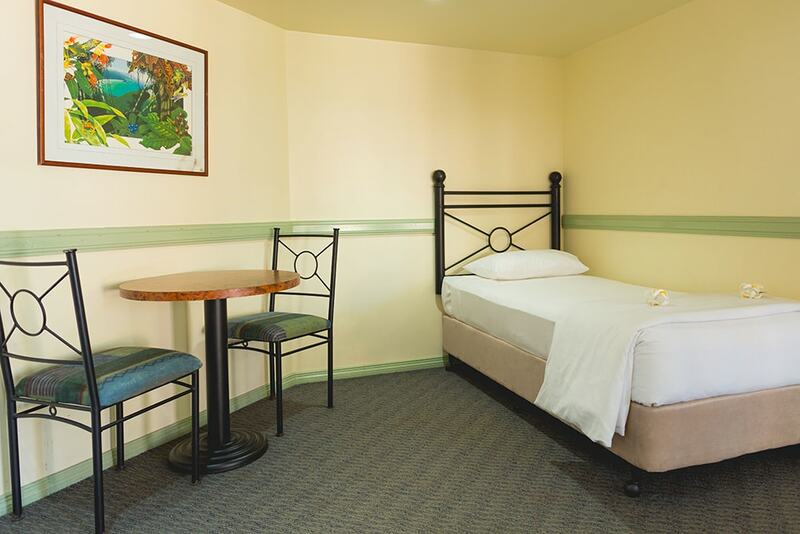 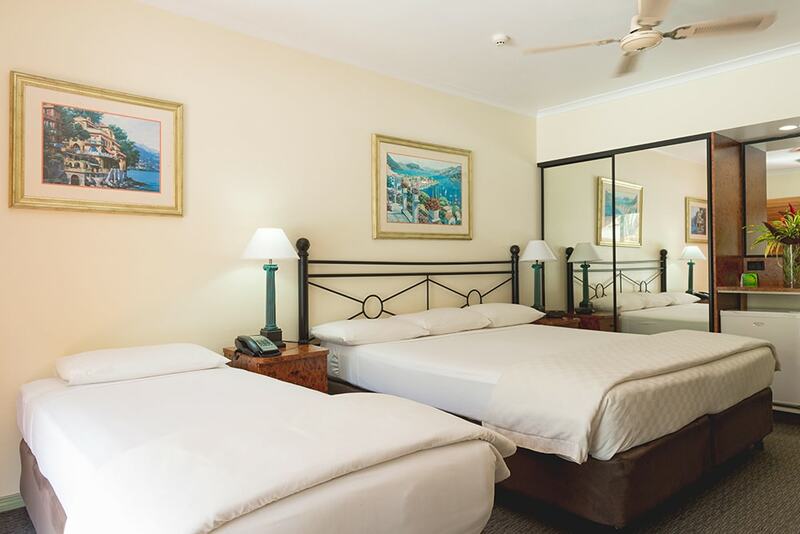 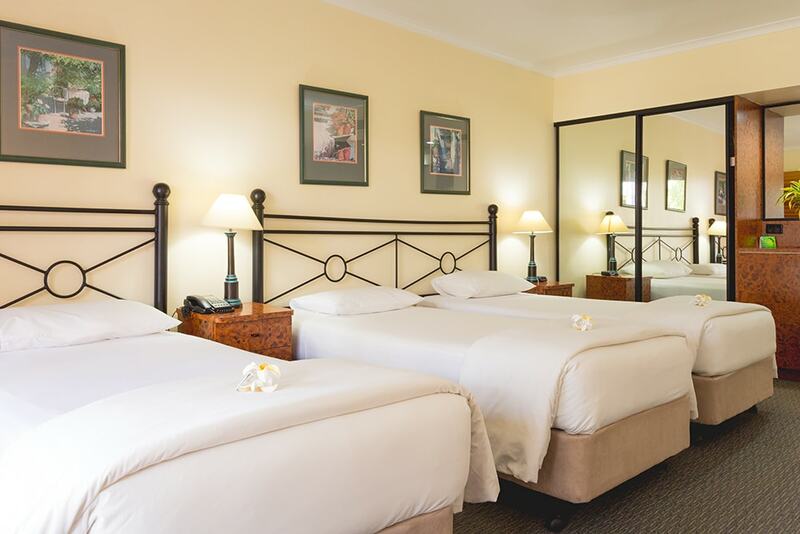 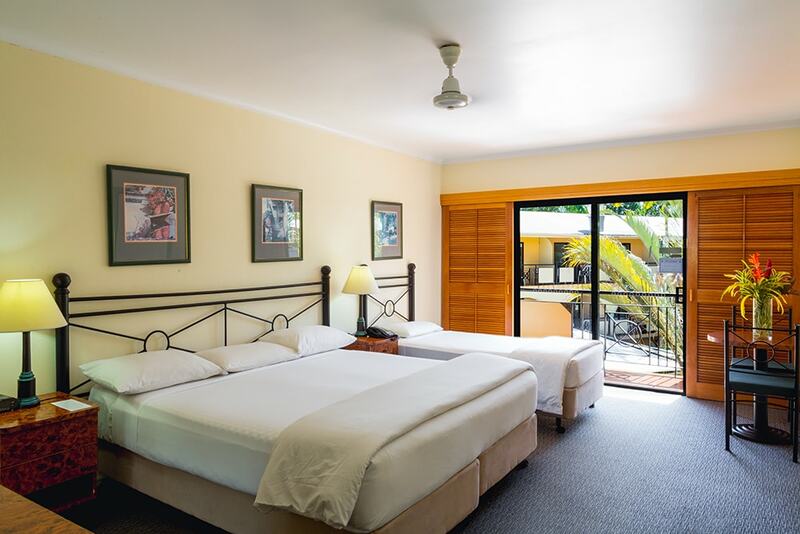 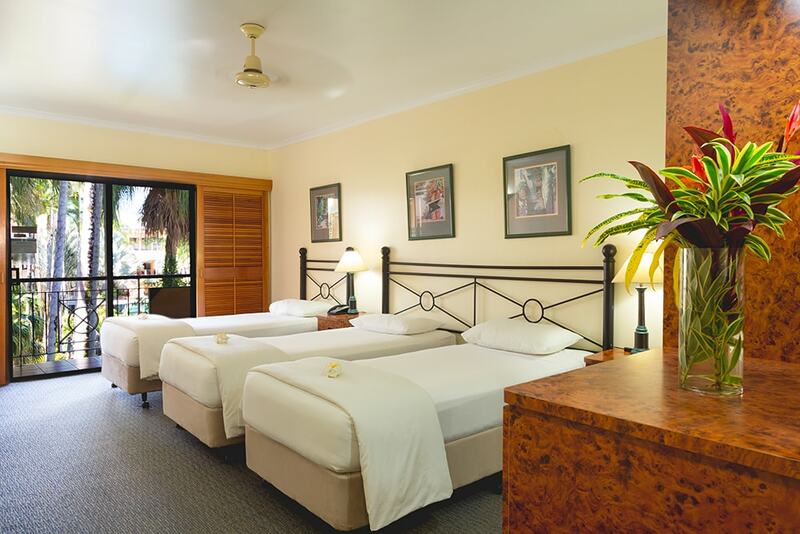 Palm Royale Cairns is a 150 room, boutique resort with a choice of accommodation styles. 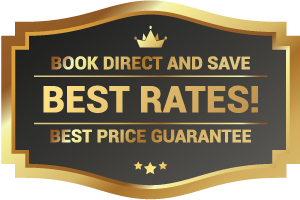 Most major airport shuttle operators pick up and drop off at the hotel. 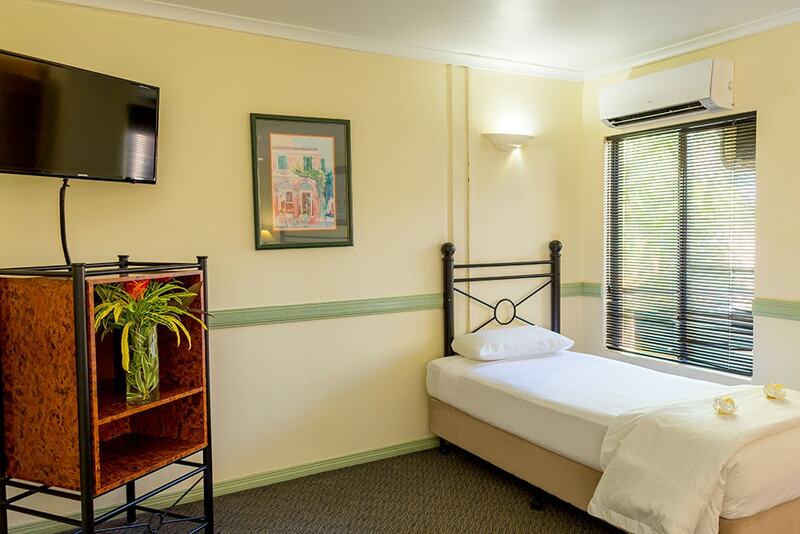 Train station, Reef Fleet Terminal (Great Barrier Reef Departure point) and city-centre transfers are available at a nominal fee.